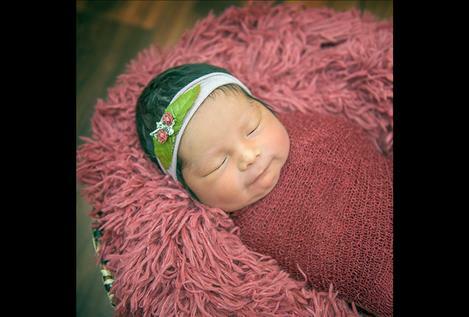 POLSON – Deshaud, Braylin, Jayce and Aaislyn are excited to announce the birth of sister A’Riyah Lila Black. She was born March 13, 2018 at the Nesting Place in Providence St. Joseph Medical Center in Polson. She was 20 inches and weighed 8 pounds, 5.7 ounces. A’Riyah’s parents are Karsyn Wilder and Lucas Black of Polson. Maternal grandparents are Anita Joseph-Kenmille and Andrew Wilder. Maternal great grandparents are Donna Joseph and Eneas Kenmille. Paternal grandparents are Charmel Smith and Yevette and LeRoy Black. Paternal great grandparents are Kathy Smith and Francine and Joe Dupuis. 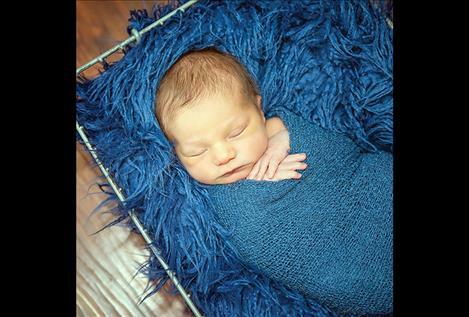 POLSON – Patience Alexander is proud to announce the birth of brother, Connor Lynch Alexander. He was born March 19, 2018 at the Nesting Place in Providence St. Joseph Medical Center in Polson. Connor was 19 inches and weighed 6 pounds, 4.5 ounces. His parents are Julie and Daniel Alexander of Polson. Maternal grandparent is Gail Ward. Paternal grandparents are Sandi and Dave Alexander Sr.
POLSON – Edward Kendrick Duckworth was born March 21, 2018 at the Nesting Place in Providence St. Joseph Medical Center in Polson. He was 19 ¾ inches and weighed 6 pounds, 8 ounces. Edward’s parents are Roxanne and Kiel Duckworth of Polson. Maternal grandparents are Susan Sullivan and Steve Zabawa. Maternal great grandparents are Lois Sullivan and Dorothy Buchl. Paternal grandparents are Bette and Kent Duckworth. Paternal great grandparent is Mary Ann Surma. 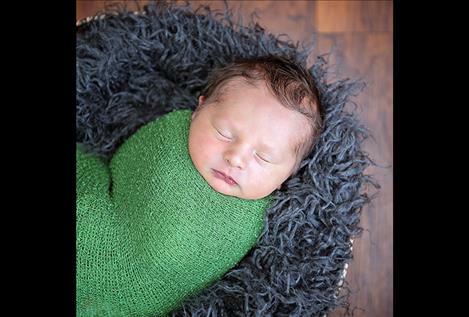 POLSON – Kai Colby Hawk was born March 16, 2018 at the Nesting Place in Providence St. Joseph Medical Center in Polson. He was 21 inches and weighed 8 pounds, 6 ounces. Kai’s parents are Jennifer Jones and Colby Hawk of Darby. Kai joins Dylan and Rose in the Hawk home. Maternal grandparents are Pat and John Jones. Maternal great grandparent is Bea Toker. Paternal grandparents are Carolyn and Dave Hawk. 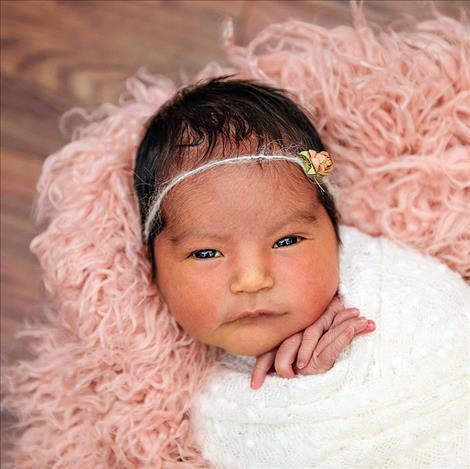 POLSON – Mara Jo Horn was born March 12, 2018 at the Nesting Place at Providence St. Joseph Medical Center in Polson. She was 19 1/2 inches and weighed 7 pounds, 6.7 ounces. Mara’s parents are Patrice Dawn After Buffalo-Omeasoo and Keith Horn of Polson. Maternal grandparent is Leasha Omeasoo. Paternal grandparents are Helen and Richard Horn. Paternal great-grandparents are Mary Louise and Howard Little Dog. POLSON – Misty Futrell would like to announce the birth of brother, Raphael Duge Futrell. He was born March 19, 2018 at the Nesting Place in Providence St. Joseph Medical Center in Polson. Raphael was 19 ½ inches and weighed 7 pounds, 7 ounces. His parents are Zjani and Michael Futrell of Polson. Maternal grandparent is Victoria Templer. Maternal great grandparent is Ronald Whitefountain. 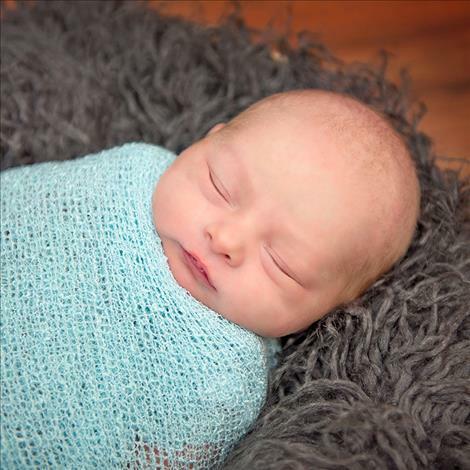 POLSON – Lucky Cheff is proud to announce the birth of brother, Toby Allen Cheff. 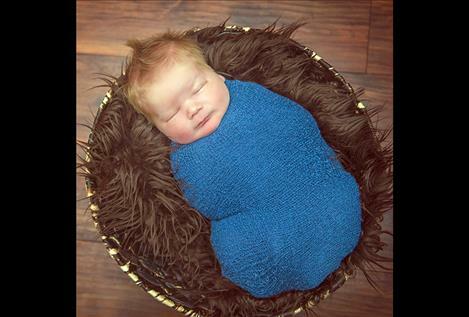 Toby was born March 13, 2018 at the Nesting Place in Providence St. Joseph Medical Center in Polson. 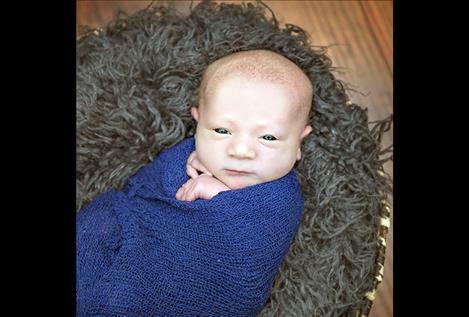 He was 20 ¼ inches and weighed 8 pounds, 15.7 ounces. Toby’s parents are Kaylee and Micky Cheff of Charlo. Maternal grandparents are Teresa and Lucky Larson. Maternal great grandparents are Delores and Allen Swalling. Paternal grandparents are Janie and Jay Bick and Shayla and Mick Cheff. Paternal great grandparents are Karen and Mick Cheff and Bob Kelley.